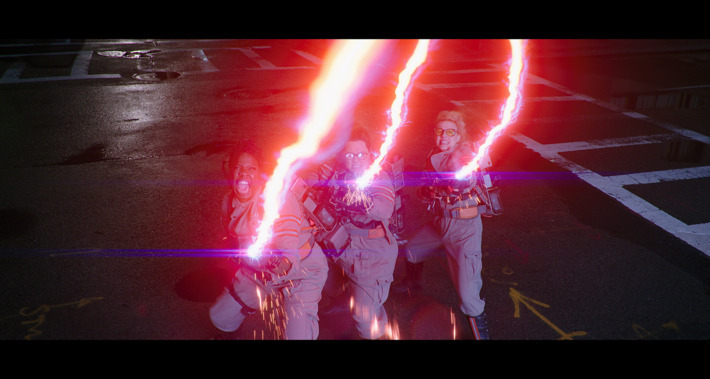 If you watched Ghostbusters this past week at a 3-D-equipped theater, you may have been tempted to flag down an usher as the film started unspooling. That’s because above and below the frame, the film is letterboxed with black bars — a common-enough practice if you’re watching a widescreen film on television, but not one you should encounter at a high-end movie theater, where the screen is supposed to be masked so that the entire image fills it. Turns out, that’s by design: As you’ll see in most scenes that feature ghosts, the apparitions have a habit of breaking the frame, spewing ectoplasm past the boundaries of the letterbox or looming over our heroes in such a daunting way that their heads extend above the image. 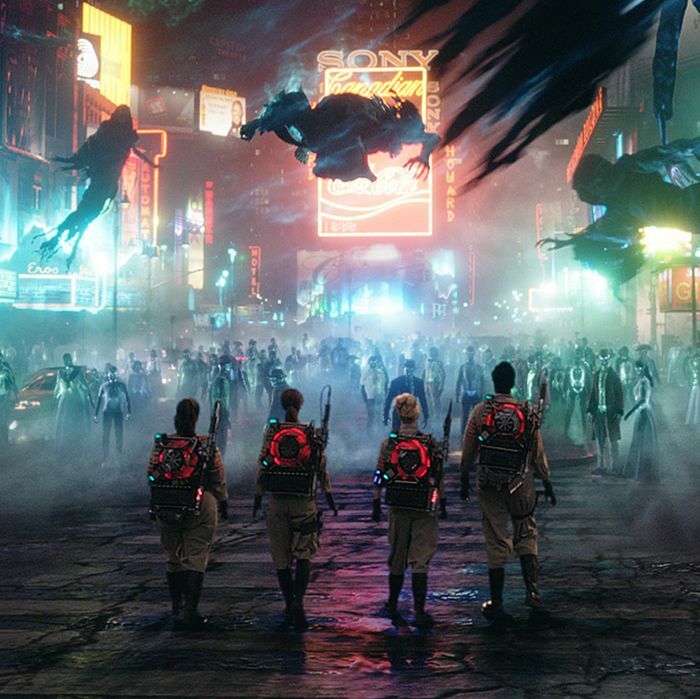 It’s meant to enhance the 3-D, and it also feels fitting in a supernatural sense: If these paranormal beings can persist even after death, what’s to keep them from busting a cinematic boundary, too? 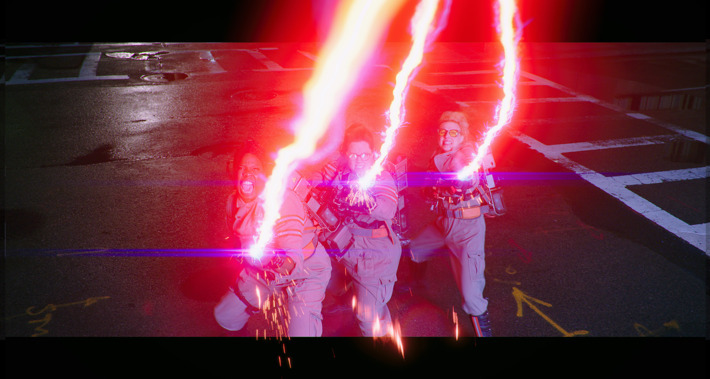 Though Ghostbusters was shot with a 2.40 aspect ratio — meaning the image is 2.4 times as wide as it is tall — it was shot on digital cameras using a 1.55 digital sensor, giving Feig and Marsh access to plenty of visual information both above and below the frame. In 3-D, it’s projected in 1.85, with black bars covering the extra space. And while the matte break is usually reserved for frightening money shots, Feig couldn’t resist a couple of Easter eggs, too.